You know what tastes amazing? French toast. You know what tastes even better? 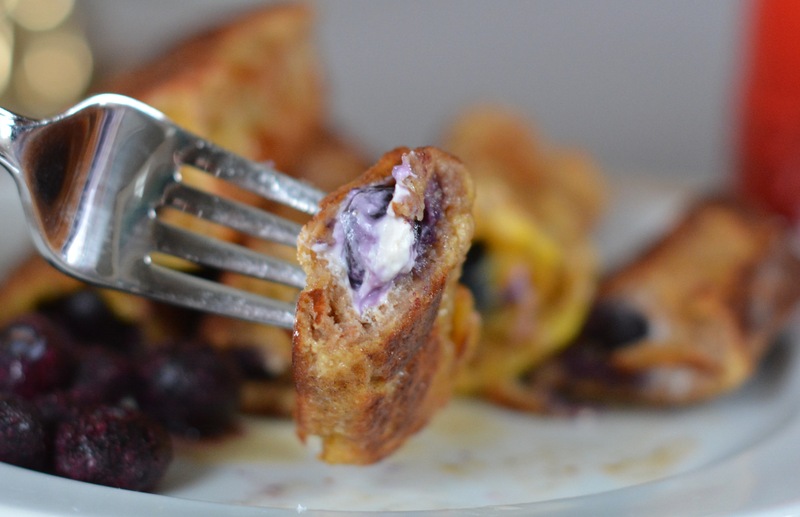 French toast roll-ups with a berry filling. My kids love making roll-ups because they remind them of pastries with fillings, their other favorite breakfast treat. I like add a bit with cream cheese to the center, too. (Nutella or any other similar spread would work as well.) 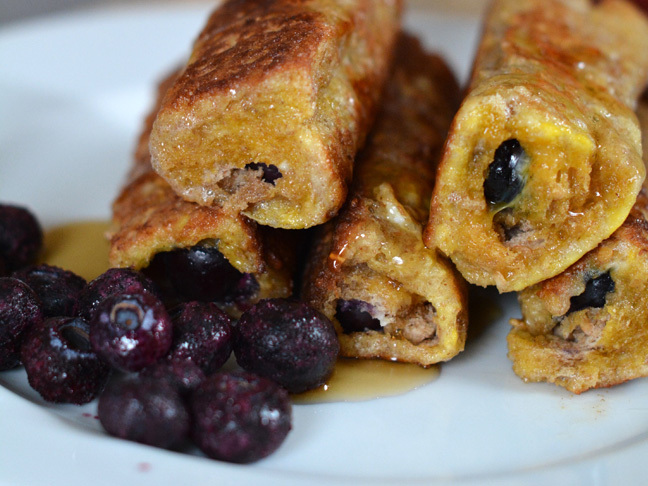 Make these French toast roll-ups for breakfast tomorrow and watch it disappear in a flash! 1. Place the bread slices on the countertop and flatten them as much as possible. Spread about 1 tablespoon of cream cheese on the top quarter of the bread and place the berries on top of the cream cheese. Then, roll them up berry side first. Repeat with remaining pieces of bread. 2. Melt butter in a large skillet over medium heat until it is coated. 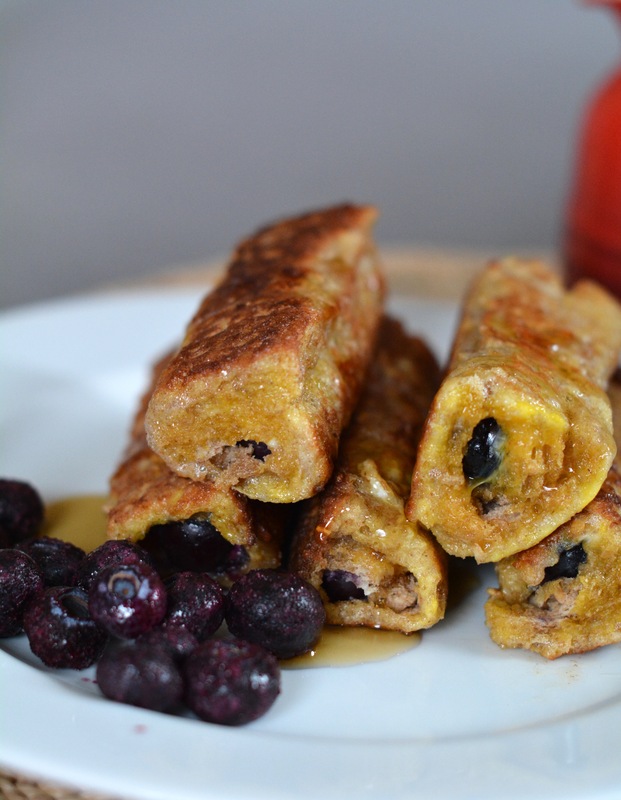 While butter is melting, whisk the eggs in a small bowl and then dip the French toast rolls carefully in the egg mixture. Then transfer them to the skillet and cook them on each side until they are completely golden brown. 3. Move to a platter and dust with cinnamon sugar and serve with maple syrup.